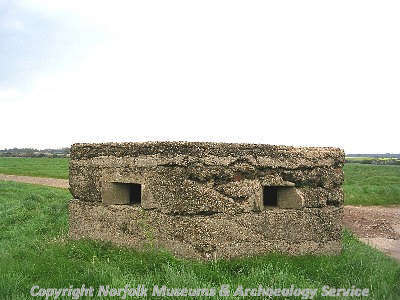 A pillbox from World War Two. 1939 to 45. Hexagonal. Fairly complete. E. Rose (NAU) 15 October 1975. <S1> Unpublished document: 1995. Norfolk Defensive Structures Survey.